There was no somewhat about how completely OSU dominated the game when it beat Tulane 49-6, though. It was simply and totally overwhelming. The game was over by halftime. Realistically, it was well on its way to being over after one quarter. No. 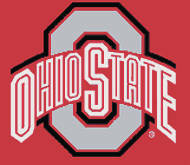 4 Ohio State (4-0) had the ball six times in the first half and scored six touchdowns to take a 42-6 halftime lead. Quarterback Dwayne Haskins completed 21 of 24 passes for 304 yards and five touchdowns in the first two quarters and didn’t play in the second half. His five TD passes were one short of the school record for a game, held by J.T. Barrett and Kenny Guiton. Parris Campbell had a breakout game with eight catches for 147 yards and had touchdown catches of 37 yards and 14 yards. About the only thing Meyer could find to criticize was that Ohio State’s running game didn’t get going as well as he expected. J.K. Dobbins was OSU’s leading rusher with 55 yards on 11 carries. Mike Weber, who gained 18 yards on six carries, left the game with what Meyer called a slight strain. He said he expects Weber to be able to play this Saturday night at No. 10 Penn State. Meyer had been able to coach his team during practices the last three weeks but Saturday was the first time this season he could lead them on a game day. “It nice to have him back. Having him around kind of gives you a little more energy to go out there. You could tell he was glad to be back,” he said. Campbell said, “It meant a lot to me, just seeing him back in The Shoe and back in the game atmosphere. I love Coach Meyer, he loves me, he loves the entire team. be at a game. I was excited for him, excited for the team and just happy to have him back,” he said. OSU’s first-half scoring drives covered 93 yards, 91 yards, 91 yards, 65 yards, 59 yards and 56 yards. The Buckeyes had 425 yards of total offense in the first half and averaged 8.9 yards per play. One of Ohio State’s big goals on offense this year is to play fast and the time of possession Saturday reflected that. It had the ball for 15 minutes, 15 seconds and Tulane had it for 14 minutes, 45 seconds. OSU’s first-half touchdowns came on a 14-yard pass from Haskins to Campbell, a 17-yard pass from Haskins to Terry McLaurin, a 37-yard pass from Haskins to Campbell, a 31-yard pass from Haskins to Binjimen Victor, an 8-yard run by J.K. Dobbins and a 14-yard pass from Haskins to Austin Mack. After a scoreless third quarter, back-up quarterback Tate Martell scored on a one-yard run with 1:01 left in the game at the end of an eight-play, 70-yard drive. Haskins has thrown for more than 300 yards in three of his first four starts. That ties him for third place among OSU quarterbacks all-time in that category. Next up for the Buckeyes is a trip to Penn State for a Saturday night game against the Nittany Lions. The winner of the Penn State-Ohio State game has won the Big Ten championship the last two seasons. “The challenge of all challenges is coming up,” Meyer said, referring to the Penn State game.